Recent democratic debate in Australian politics has been apprehended by special interest lobby groups. It is now time for artists to stand up and be vocal to capture their share of the political scene. 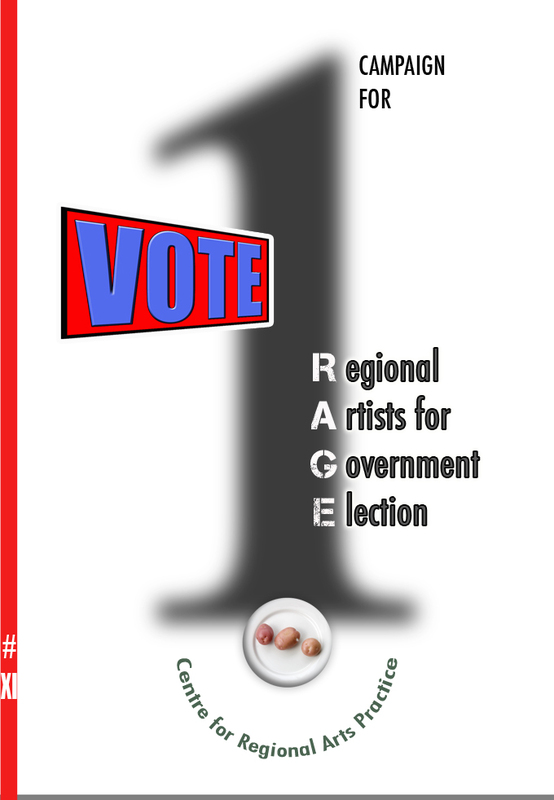 This policy booklet presents the Regional Artists for Government Election (R.A.G.E.) campaign and its political demands. The R.A.G.E. policies at first seem flippant and glib, however, as we have experienced in contemporary politics, the absurd can, with the right ‘spin’ and ‘media cycle’, become plausible – in fact, even highly appealing to the voters, leading to positive opinion polls and success at the ballot box. SUPPORT R.A.G.E. – Join the Art Revolution Today. The edition of the book is 25 with 5 artist’s proofs. Copies of the book can be purchased from grahame galleries for $25 + packaging and post. « WHAT HAPPENS in a Brisbane storm black-out! !